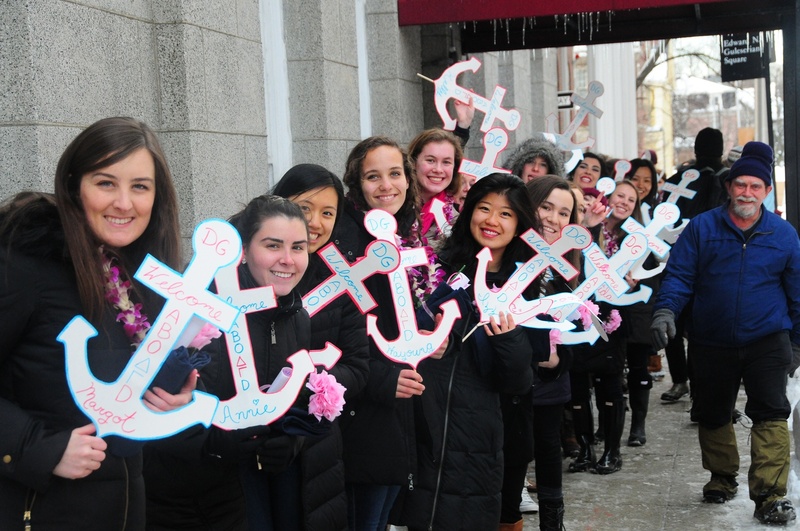 Older members of sorority Delta Gamma wait outside the Sheraton Commander Hotel Tuesday afternoon while the new members receive their bids inside. 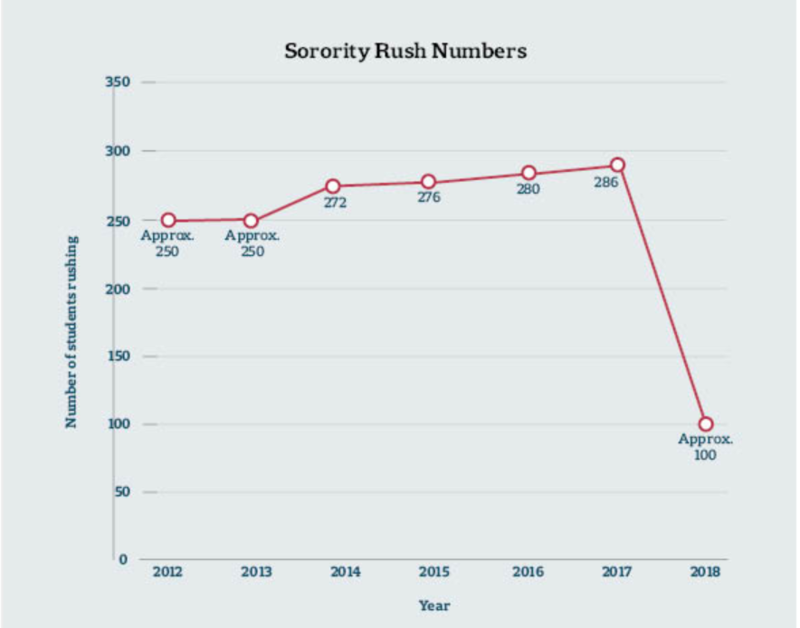 Last week, Harvard’s chapter of Kappa Alpha Theta announced it would go gender-neutralin the fall, disaffiliating with its national organization. In January, the previously all-female sorority Kappa Kappa Gamma became the co-ed Fleur-de-Lis.